Ideal for those who hate leaving their dog home alone! Drop your dog off at Inn the Doghouse Doggie Daycare and let your furbaby spend the day playing and socialising with lots of doggie friends. A normal day here @ITD is packed full of fun, where they will also learn vital skills such as bite inhibition, appropriate playing, build confidence and learn how to read other dogs’ body language to help communicate together. No more bored, home alone dogs. Your doggie daycare questions answered! 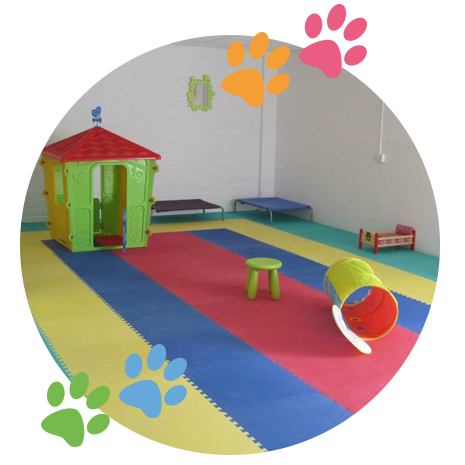 Our indoor heated play room is specially designed to cater for all the bouncing around a group of happy, playful canine companions can create with its specialised rubber flooring, separate areas for different groups depending on size and temperament and fully qualified staff supervising the play at all times. Who can come to Doggie Daycare? All dogs attending daycare must be happy to be around other dogs and have never shown any aggression towards another dog or person. 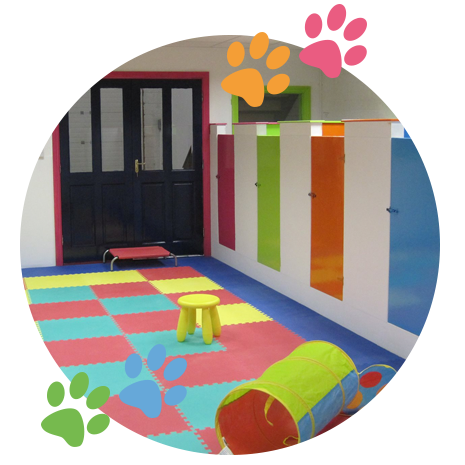 Doggy Daycare is an open-play environment for pet dogs of all sizes and breed types. What goes on at Doggie Daycare? Dogs arrive in the morning and are welcomed in by one of our daycare assistants. There is lots of tail wagging and playing while all the dogs are full of beans getting acquainted with one another. All the dogs are free to interact with each other and have lots of interesting and safe toys to play with. Dogs are separated according to size and play style to ensure that they all get along nicely. When it comes to rest time, all dogs are separated individually and have a comfy clean bed to snuggle up in and a tasty treat to help them settle. Rest is very important to your dog as an over tired dog can become cranky, (just as we can) and lead to disruptive behaviour. We are all about keeping the peace here at Inn the Doghouse. When all the dogs have had sufficient rest they are all let free in the playroom again and it’s PLAY! PLAY! PLAY! Our daycare assistants supervise all play and are on hand to provide plenty of cuddles and TLC to all our cuddly clients. They may also teach some basic obedience to the regular daycare dogs. At the end of the day, mom or dad will be guaranteed to collect a tired and happy furbaby who just cannot wait for their next visit to Inn the Doghouse. How important is socialisation for dogs? 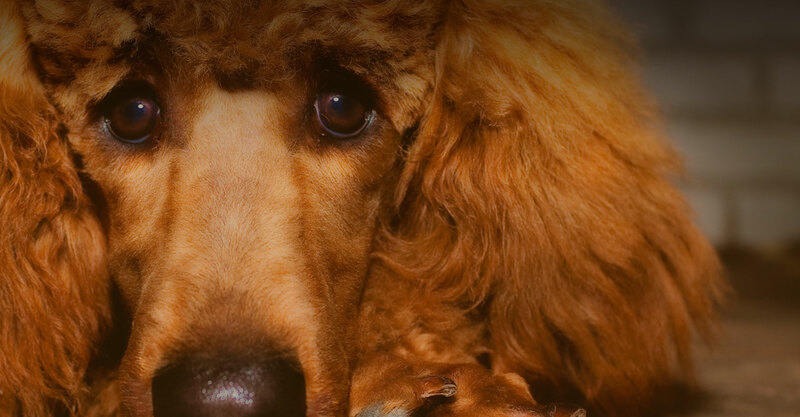 It is important that all dogs are introduced to as many people, children and dogs as possible as a puppy, through positive encounters before the socialisation window closes at around 18 weeks old and their natural fear kicks in. Dogs that have not been socialised enough as a puppy can show signs of shyness, fear and aggression towards new encounters throughout their life. Unfortunately, these dogs live in fear of ordinary experiences every day of their lives, and their owners are often unaware of their plight. Lack of socialisation is one of the main causes of canine aggression and aggression is the number one killer of pet dogs. Please go OTT while socialising your puppy and don’t hesitate to contact us for tips on doing so. How does my dog join the playgroup? All dogs must be up to date on all the relevant vaccinations. They must present a current, up to date vet card showing proof of DHPPI, LEPTO and KENNEL COUGH vaccinations. All dogs must be free from fleas and other parasites and receive regular preventative flea and worm treatments, at least every 12 weeks. We will give you a reminder when these are due. All dogs must be in good overall health. If your dog is showing any signs of illness, we will be unable to accept them for daycare until they are back to full health. All dogs must pass the temperament assessment before being accepted to join the daycare playgroup. These requirements are in place to ensure the health and safety of your own dog. This is our priority. If all of these requirements are met, simply book in your dog and drop them to doggy daycare at your own convenience. For Puppies -under 6 months old. No temperament assessment is required for puppies under 6 months old. For Adult Dogs – (over 6 months old) there is a once off, temperament assessment fee of €30. Included in this fee is a full day of daycare worth €15. This assessment is necessary for the safety of all dogs attending daycare and staff members.